With flexible options, MACS Technology offers a broad range of automated cell separation solutions. Choose the optimal level of throughput and automation to meet your specific needs. 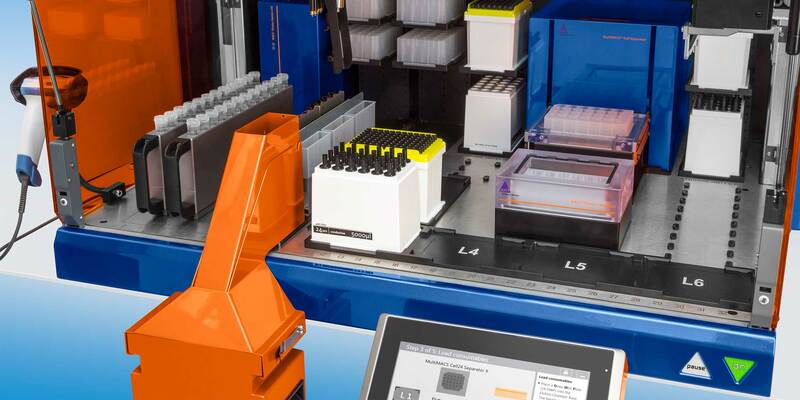 For high-throughput settings in which high sample volumes and cell numbers need to be processed, the semi-automated MultiMACS Cell24 Separator Plus is the right choice. This instrument can be used in combination with our MACS MicroBeads and MACS Cell Isolation Kits to isolate a wide variety of cell types or to deplete specific cell types. You can process up to 24 samples in parallel, while getting reliable and standardized results every time. The MultiMACS Cell24 Separator Plus is designed for the convenient performance of any positive or untouched isolation using MACS Cell Separation Reagents. Separations can be performed with the Multi-24 Column Block or with up to 9 LS, LD or Whole Blood Columns in combination with the Single-Column Adapter. With the autoMACS Pro Separator you can take advantage of completely automated cell labeling and isolation. The instrument is compatible with more than 350 MACS Cell Separation Reagents for an easy and fast isolation of virtually any cell type from any species. Benefit from standardized procedures that ensure reliable and user-independent results every time. With the autoMACS® Pro Separator, cells from whole blood or bone marrow can be isolated with minimal hands-on time. Take this short instrument tour and see how your target cells are beeing separated directly from whole blood samples without the need for density gradient centrifugation or red blood cell lysis. The MultiMACS X Separator combines true walk-away convenience with high-throughput sample processing. 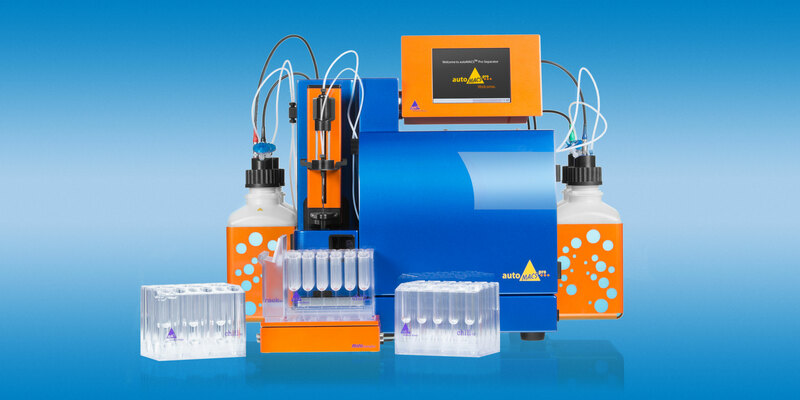 You can now enjoy all the benefits of the MultiMACS Cell24 Separator Plus and a customized liquid handler for precise pipetting and sample transfer. Parallel processing ensures highest standardization and reproducibility. 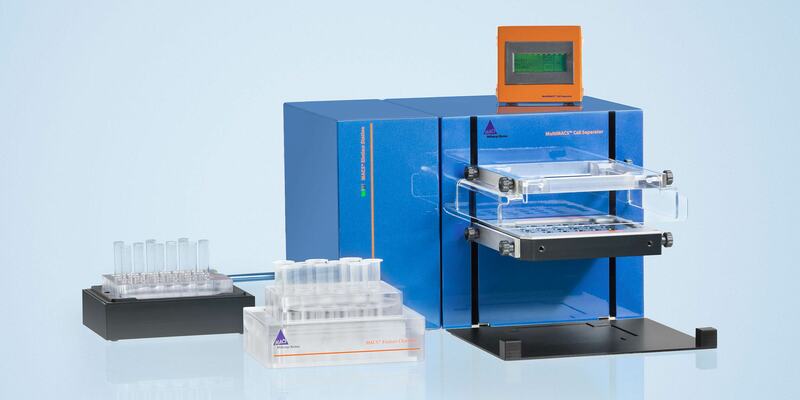 Watch the workflow of this versatile high-throughput instrument for automated cell separation.